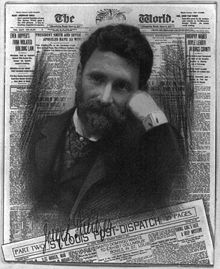 Charles A. Dana, the editor of the rival New York Sun, attacked Pulitzer in print, often using anti-Semitic terms like "Judas Pulitzer". In 1895, William Randolph Hearst purchased the rival New York Journal from Pulitzer's brother, Albert. The two embarked on a circulation war. This competition with Hearst, particularly the coverage before and during the Spanish–American War, linked Pulitzer's name with yellow journalism. ^ Horwell, Veronica (10 April 2013). "Lilly Pulitzer obituary". The Guardian (UK). Retrieved 2015-10-07. ^ Garrison, Chad. 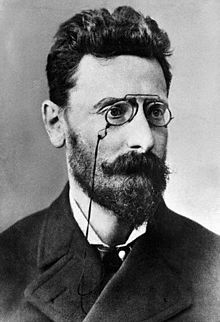 "Pulitzer's Pain". Riverfront Times. Retrieved 20 October 2014.